Now that he has said that he is not afraid of getting killed,He should also clarify why anyone will take the headache of Killing him..An Useless Politician..
Nitesh Bhai bahut busy ho aajkal kya? Something, anything to create some fuss ! 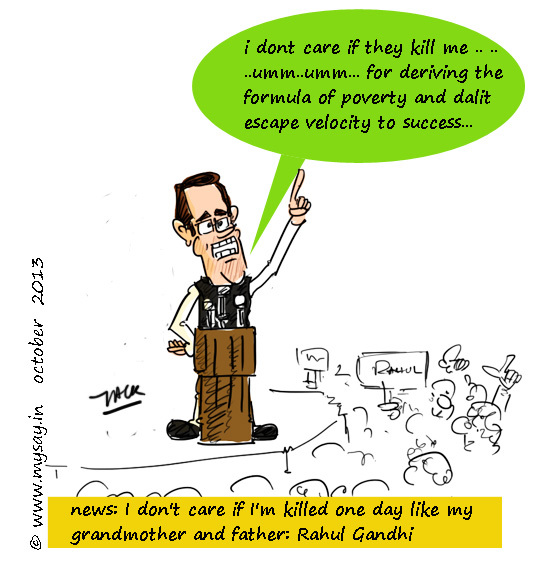 this is our Rahul Gandhi ! they call it our to be PM .. guess what, i want to run away from India !